That was my Dad’s way of letting us know, it was Spring. 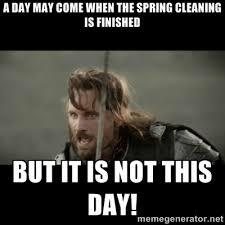 On this beautiful Spring-like day, I’m settling for the sin of cleaning. 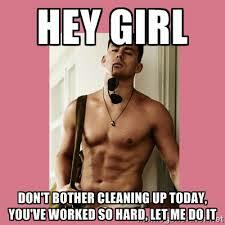 Cleaning, sinful? For someone with Asperger’s, who like things a certain way and don’t like changes, it’s a terrible transgression. It’s all how we see things – making things fresh and clean or adding lots of weird smells and moving things, possibly moving them out of order? 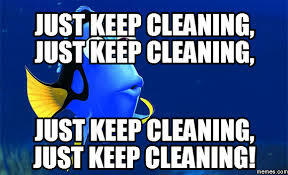 I clean less than Martha Stewart, but my son, the Aspie thinks I clean way too much. Which got me thinking about balance. 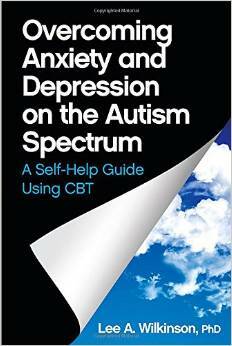 Overcoming Anxiety and Depression on the Autism Spectrum by Lee A, Wilkinson, PhD (Jessica Kingsley Publishers), was a timely book to read today when I borrowed the digital copy from Netgalley.com for an honest review. Cognitive Behavior Therapy can help people restore balance, whether they’re on the Autism Spectrum or not. It’s about changing your way of thinking. Taking a bad, sad, mad, or scary thought and changing how you look at it. It’s like taking a old, clean sock, soaking it in equal parts water and vinegar and using it to clean your blinds and windows so you can see more clearly. Don’t forget to use the other sock to dry them. There’s nothing wrong with being sad, mad, or scared, but how we handle those thoughts can be like washing a cast iron pan with soap and water instead of coarse salt and water. We want it to last and reach its full potential, so don’t forget TLC (for the pan, some oil). CBT helps manage and overcome difficulties, in a straightforward way, making a complicated situation less so. Like when you use your blender, helpful, but now it’s messy. Instead of taking it apart to clean, or trying to clean around the blades, potentially causing more harm, pour in hot water and dish soap, lid on, then blend. Just rinse, dry and store. Wilkinson is excellent at explaining the anxiety, depression, and isolation caused by social skills deficits and cognitive issues, and how they can be alleviated and managed through CBT. Too often people with anxiety or depression are told to: just stop, grow up, smarten up, man up, or they’re defective or attention-seeking, etc. Trying to clean a cutting board used for cutting raw chicken with only soap and water or bleach. Think that fixes the problem? No, but a lemon cut in half with salt on it would do the trick. So there are worse things I can do than Spring cleaning…if we find the right balance, there’s little or no anxiety for my son and our home is sparkling.